The Cineplex Media president and fundraising king has been advocating fro LGBTQ2 rights and the film industry for nearly three decades. 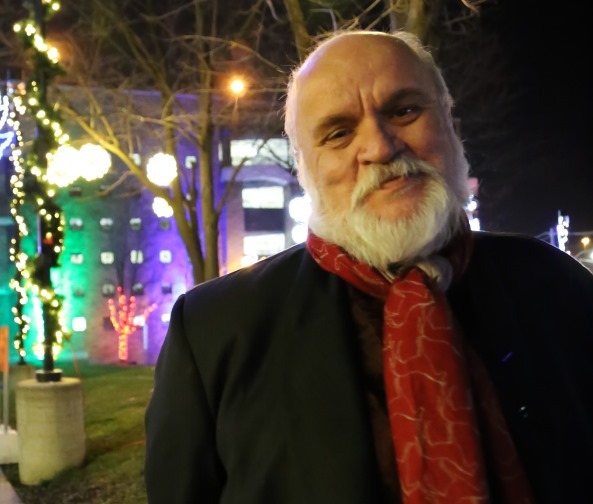 Salah Bachir is a colourful personality – and a force in the Canadian cinema space. Lebanon-born, Toronto-based Bachir first got into the film biz on the periphery through consumer and B2B magazines on the movie industries. He turned those industry contacts forged as a publishing entrepreneur into audiences for the annual Focus on Video trade show in the ’90s, and then launched a company in partnership with Famous Players Cinema to handle in-theatre ads and cultivate marketing relationships – a role he continues today under a new banner after the now-defunct chain was purchased by Cineplex in 2005. Indeed, as Bachir’s industry cred grew so too did his participation in the philanthropic space, particularly in support of film, arts and LGBTQ2 communities. Over the years, he’s helped raise millions for the Canadian Film Centre, The 519 Community Centre, St. Joseph’s Health Centre and the Art Gallery of Ontario (just to name a few) through personal donations and the acclaimed Gala Salah fundraising events he chairs. On Sept. 27, he’ll be honoured alongside his husband with his very own “screening room.” The Salah Bachir and Jacob Yerex Screening Room at Toronto cultural hub 401 Richmond Street West will showcase Canadian artists’ film and video work. Earlier this year, Bachir was named the international outstanding volunteer fundraiser by the Association of Fundraising Professionals – a global award. 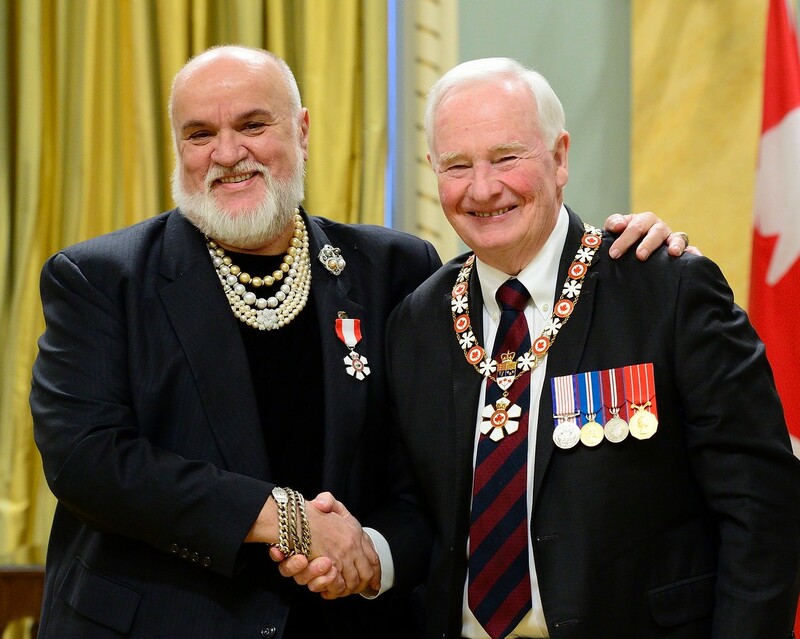 He was awarded the Order of Canada in 2016; was given the corporate leadership award by Best Buddies (an organization that works with people with disabilities); won the Canadian Centre for Diversity’s human relations award in 2012 and received a lifetime achievement award at the Toronto Pride Gala in 2009. He now adds to these titles Playback’s 2017 Humanitarian of the Year. He has amassed many other trophies – one would be overwhelmed by a visit to his award room – but the point is clear: Bachir has spent an exceptional amount of time and effort making the world a better place. Talking to Bachir, it becomes obvious that the philanthropist and cinema exec is trying to create a more inclusive, humane world. 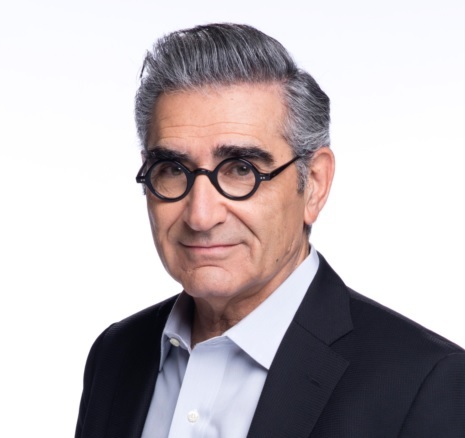 His first foray into causing change came in the early ’80s during the AIDS crisis, prior to having the wherewithal to personally financially support initiatives. By 1996, when filmmaker and artist Elle Flanders became the executive director of the Lesbian and Gay (now Inside Out) Film Festival, Bachir had become a success in the film business as his B2B publication Premiere had become a go-to magazine for the video industry. Fueled by activism, Bachir and his colleague John Bailey, then-president of Famous Players, helped Flanders in her quest to raise the profile of the festival. After he joined the festival’s advisory board in 1996, Bachir became friendlier with fellow board member and filmmaker John Greyson, whom he’d met earlier at art galleries and film openings. He was instrumental in turning Greyson’s Lilies into the Genie winner for best picture. The highlight of the film is the arrival of a woman in a hot air balloon in 1912 rural Quebec. Bachir is also a long-time supporter of the LGBTQ2 community centre at 519 Church Street in downtown Toronto. He became the honorary patron after chairing a capital campaign that raised more than $6 million, transforming the space in 2010 into a beautiful facility, which hosts Fabarnak, a restaurant and catering service that acts as a revenue generator for the centre and employs many people in the community. His personal contribution was more than $1 million, not to mention the countless hours spent making it successful, including his famous Gala Salah events – so named after their patron. “For the first gala [held] for 519 in 2005, I asked Eartha Kitt if she’d come to Toronto and perform. She arrived day-of at 11:30am and said, ‘Salah, I know you said to different people you hope I’m not drunk when I go on. Well, I’ve stopped drinking. I haven’t been drunk when I go on for years.’ I said, ‘That’s wonderful.’ We went to lunch and she ordered a double martini,” Bachir remembers with a laugh. Kitt was terrific that evening, notably raising $10,000 by simply sitting on the lap of a donor pointed out by Bachir. But the acclaimed Gala Salahs have been running since well before his time with 519. First launched in the ’90s for the annual Focus on Video award nights, over the years the fundraising events have featured entertainment by stars like k.d. lang, Andrea Martin and Jackie Richardson. One of Bachir’s other major causes has been St. Joseph’s Health Centre. Maria Dyck, president of St. Joseph’s Health Foundation, recalls meeting Bachir, whose kidney related condition requires him to use dialysis daily, and says he noticed the TVs in the hospital were old and noisy. He wanted to replace them right away, Dyck says. Salah Bachir is president of Cineplex Media and a well-known philanthropist. He began his career in publishing and launched Famous magazine (now Cineplex magazine) in 1999. 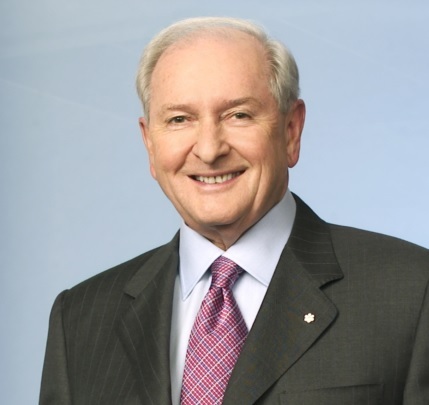 Throughout his career, he's supported many causes, helping to raise millions for organizations like the Canadian Film Centre, The 519 Community Centre, St. Joseph's Health Centre and the Art Gallery of Ontario, among many others. In March of 2017, he was appointed chancellor of OCAD University in Toronto.